Woolworths at the moment have a lovely saving on selected Mavala nail products. This saving is only available to those that are part of the WREWARDS program, so if you don't have any Woolworths store cards then you really are missing out on those extra discounts and saving offers. 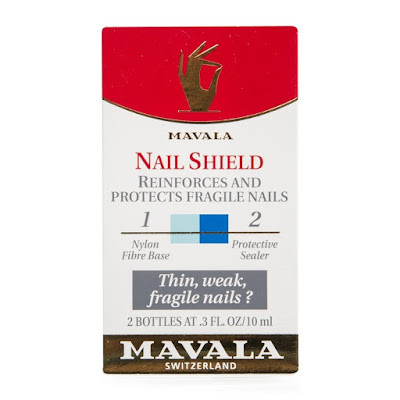 The quality of Mavala can always be assured and what I enjoy is the mini packaging of 5mls, which is considerably smaller than most other nail brands. I find that I rarely finish a larger sized bottle of nail polish, as it goes either thick or I lose interest in the colour and I end up throwing it away, whereas with the Mavala minis I do use to the end, also they are a great size to travel with. So whether you fancy treating yourself or just stocking up for upcoming gifts then check out some of my selections below. 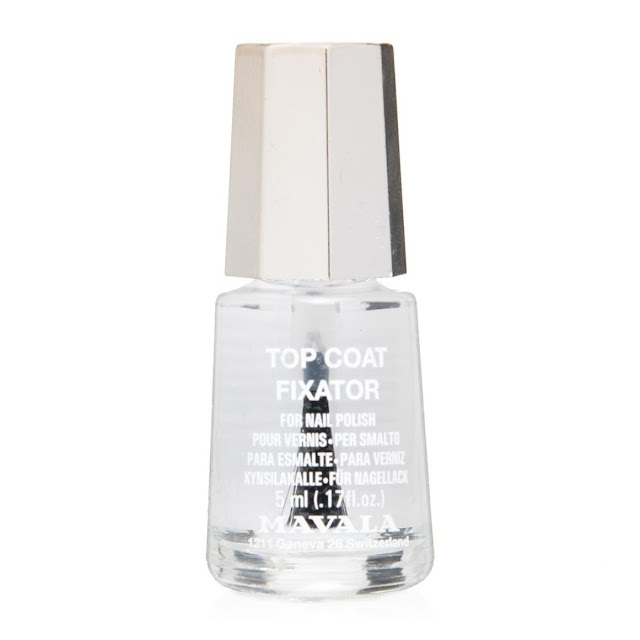 This compact 5ml nail polish is long-lasting, and available in a range of classic and chic shades. This 5ml clear top coat helps prolong the life of your manicure by preventing chips and fading. This 2-step treatment has been developed to help give nails resistance, protecting them from daily tasks and other damaging elements. Dry Shampoos are a quick and convenient way of getting soft, clean and fresh smelling hair, without water and whilst I don't regularly use one, I always have one on hand to help rescue me and my hair, on that day where, I just knew, I should have made the time to wash it. When sprayed directly onto hair the waterless formulation penetrates and absorbs dirt and any other cosmetic product. A gentle rub of the scalp and brush of the hair removes impurities to leave hair soft, clean, fresh and revitalized. Great to use in between washes or after gym. The Dry Shampoo really evolved as many, many years ago women used talcum powder on their scalp and hair to absorb excess oil and grease.Thankfully we now have a Dry Shampoo in a can! My dry shampoo of choice has always been one from the French Botanical hair care brand - Klorane (150ml approx €9), but unfortunately for several years now it's not been available here in South Africa meaning that it was always a permanent item on my overseas holiday shopping list. Obviously I must have been having more "hair rescue" days this past 10 months than I realised, as I have now been forced to look into a locally available dry shampoo. Not having a great selection to choose from it was pretty much down to two brands in my local Clicks, batiste and the recently launched (in SA) COLAB, so I thought I would review and compare them both and bring you my findings. Batiste have several options to chose from, which include fragranced, volume and hints of colour dry shampoos, I opted for the Blush -A Floral and Flirty fragrance, only because the Classic and Clean was out of stock, personally I prefer to opt for a subtle or non-fragranced version. Initially I was shocked with the force of the dry shampoo spray, it really blasts powder onto the hair and scalp. I also found it to be very white and powdery even on my blonde hair, so it must be a nightmare on dark hair. Whilst it absorbed any oil, I found it to be marginally one step up from sprinkling a fine talcum powder onto my hair and doing it the "old fashioned" way. COLAB have two collections on offer, the Sheer + Invisible (sheer, invisible and weightless formula) and the Extreme Collection (volume ,height and body). I bought the Sheer + Invisible LONDON - A classic yet contemporary fragrance of bergamot, musk & magnolia. Again the spray was quite forceful, but as COLAB say their formula is lightweight and invisible and it was. 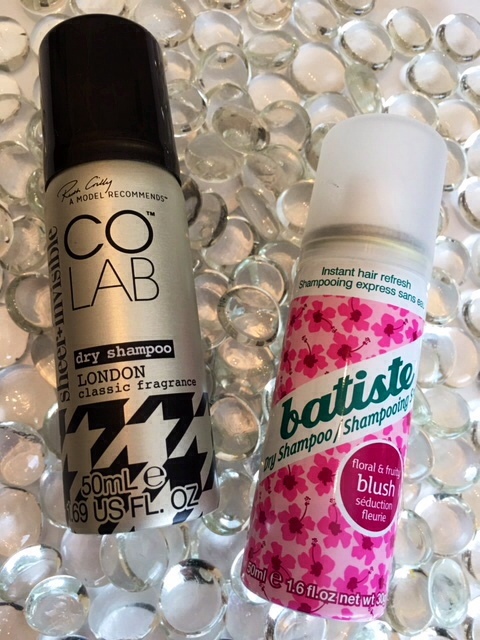 I enjoyed using even though I found its ability to adsorb any oil not to maybe be as good as the Batiste, after saying that I would without a doubt chose the more sophisticated "grown up" COLAB Dry Shampoo as opposed to the girly "teenage" Batiste Dry Shampoo. 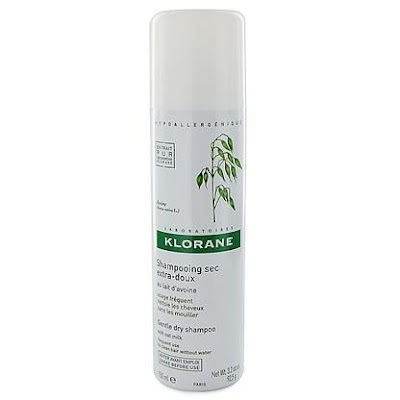 Is the Klorane Dry Shampoo being struck off my overseas shopping list? No not yet and it just means that on my next trip 2 cans will be bought! To read my Blockbuster Review. This clear, gentle, lightweight lotion is Oil Free, Dermatologically Tested, Opthamalogically tested and can be used by wearers of contact lenses. Whilst it removed my eyeshadow well enough, my eyeliner and mascara needed a second soak to remove fully and I don't wear heavy eye makeup. Another aspect that I didn't enjoy was that it has a slight soapy formula, not that it stings your eyes, it's very gentle, but it almost has a foaming effect, which I didn't like. However it does leave the eye area feeling refreshed,clean and free from oil. I tried this product, or previous versions of it, many years ago and I really can't remember too much about, so it couldn't have impressed me greatly back then, as it never became a fixture in my beauty regime and don't forget my regime has been "on the go" for 40yrs or more, which means I have tried lots of eye makeup removing products,whether it be a lotion or a gel and sadly all these years later it still doesn't impress me enough to warrant a place in that regime. I thought today in honour of the super healthy Almond I would share this post again with you. I love Almonds not only to eat, but also to apply to my face and body. Almond is well-know for its ability to nourish the skin and in my opinion L'OCCITANE have best harnessed the exceptional beautifying power of almond from the south of France and integrated it in body treatments and toiletries that are both deliciously tempting and wonderfully effective. The review below was written in 2012 and in my opinion nothing has changed and it still remains on my "must have" list, so if you havent yet tried this or any other Almond products from L'Occitane then you really are missing out. 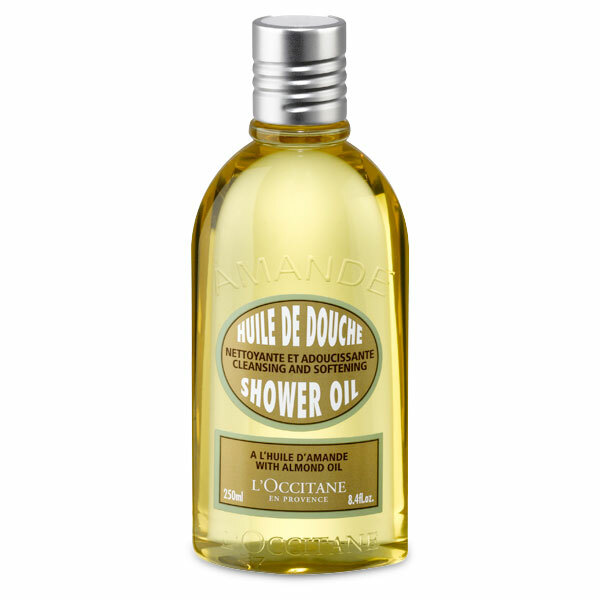 The Almond Shower Oil is L'Occitane's second "Best Selling" product worldwide after their wonderful Shea Hand Cream ,which by the way won a Fair Lady award for 2011! The Almond Shower Oil is unique and has to be experienced in order to appreciate and understand fully the pleasure and the benefits derived from using this cleansing and soothing oil. Even the application of the product is special in so many ways. Firstly the aroma of Almonds is great, then once you massage the oil onto a wet skin the oil magically turns into a white creamy texture! no oily residue behind on the skin. Well yes it can & it does, as they also recommend that you shave your legs in the shower using the Shower Oil..
How easy is that...its a great multi- tasking product. Oh! I nearly forgot the product is unisex, so you can share it with your man. This weeks Sunday Savings are from...where else but Woolworths. 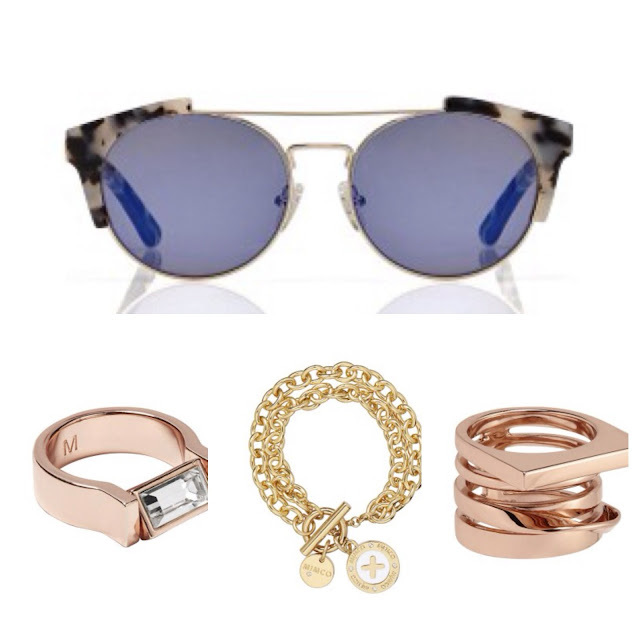 They currently have a "saving" promotion on hundreds of costume Jewellery items, which includes some lovely pieces from Witchery, Trenery, Country Road, Studio W and Mimco, it also includesa wide range of sunglasses. I feel somewhat guilty for not writing about this product earlier, as it has been one of my personal "Must Haves" for the past couple of years. 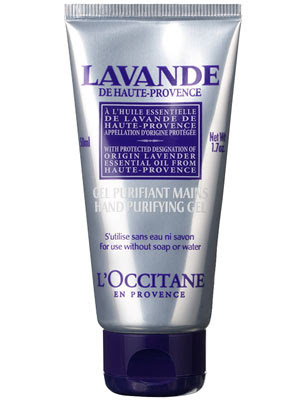 L'Occitane En Provence, which is one of my favourite french brands launched their Lavender Hand Purifying Gel (organic certified) as a limited Edition, but due to its popularity and effectiveness they added it to their basic product range and I for one, was very pleased. It is by far the best of its kind! Only a small amount of this clear, natural Lavender fragranced gel is needed to perfectly sanitize and purify without leaving any sticky residue on your hands and no rinsing is necessary! I have tried several cheaper versions,but whilst the concept of the product is good, they always fail when it comes to the fragrance and the texture of the product. There are no "fails" where the L'Occitane Hand Purifying Gel is concerned! I always carry this product in my handbag, not because I am obsessed about germs, but there are plenty of occasions where I feel the need to sanitize my hands. This is also an invaluable "must have" in your babies nappy bag or when you are traveling. which equates to "good value" for money in my opinion. Many, many years ago at beauty college I always wore a liquid eyeliner, but as the fashion and beauty trends came and went, so did my interest in liquid liners and I switched to eye liner pencils. Unfortunately with age the skin on the eyelid becomes slacker and more crepey making it more difficult to draw a smooth, even line along the lashes. That was until a couple of years ago when I was introduced to the Clarins 3 Dot Eye Liner. The Clarins 3 Dot Eye Liner seemed to bridge that gap between the ease of using a pencil and the more precision needed for the application of liquid liner. However I decided to make a giant eyeliner "leap" of faith and buy a liquid liner, so my search began. 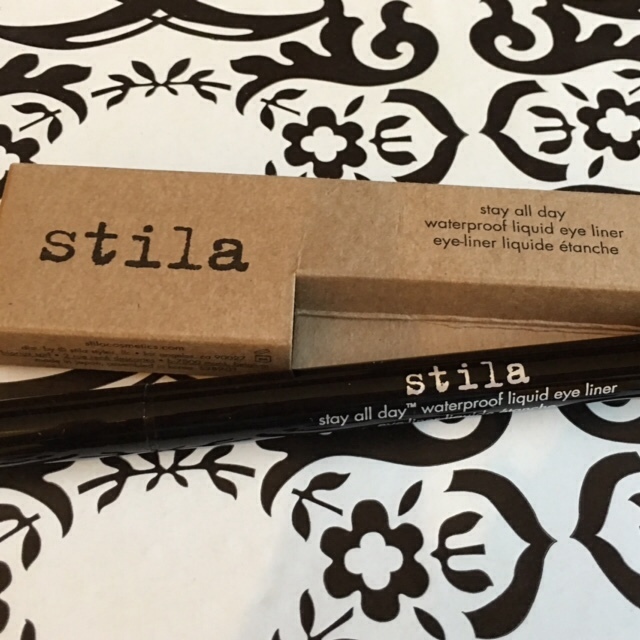 Stila Stay all day waterproof liquid eye liner.. 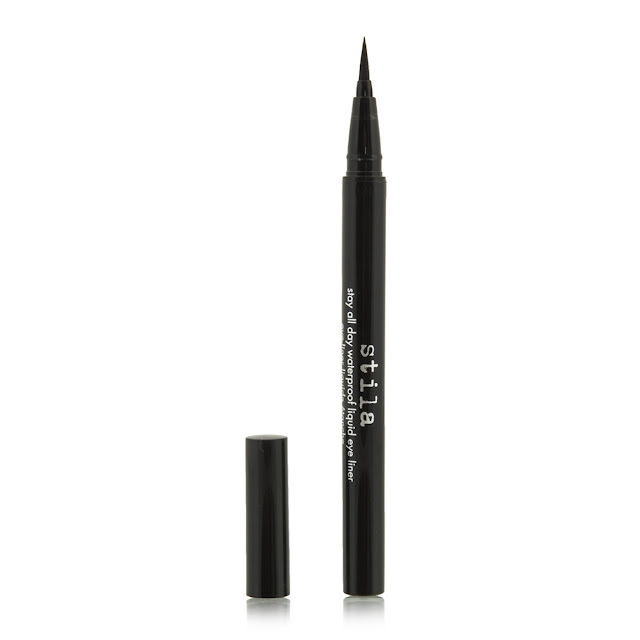 Available in 2 shades only in South Africa, Midnight and Intense Black, I opted for the later and black it truly is...this long-wearing (does stay all day) waterproof liquid eyeliner has a thin, marker-like tip that glides on easily, without smudging. 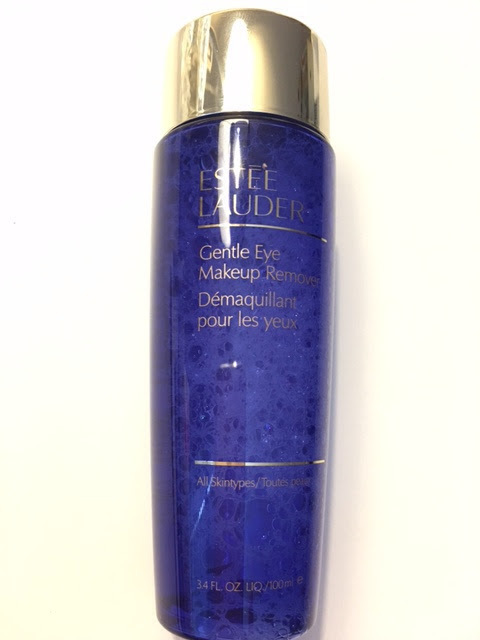 I was a little hesitant initially as it is waterproof, yet it removed fairly easily with my regular eye make-up remover. The liquid does dry quickly on the skin, so any errors or slips need to be removed just as quickly. I'm sure everyone experiences the same, whether your using a pencil or liquid, you seem to always apply neater and smoother on one side than the other. 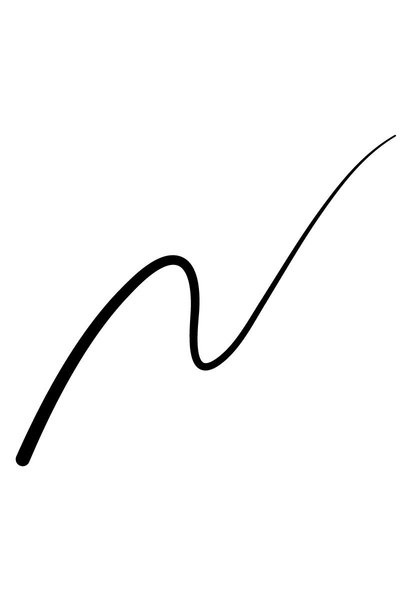 The fine tip allows for the finest to the thickest of lines to be drawn with precision and ease, whether you are a pro or a novice like "Moi". 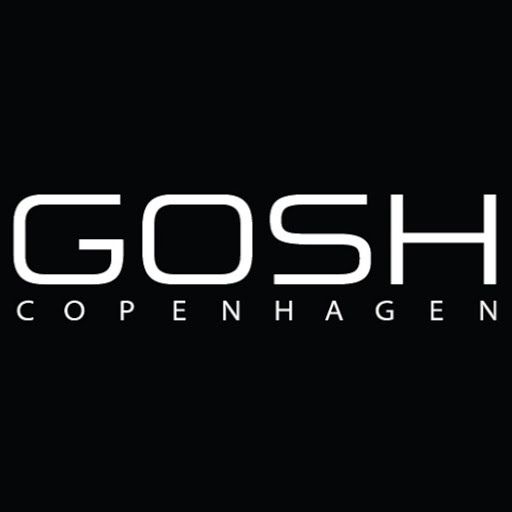 My slight obsession with finding the next best thing in mascara continues with a new mascara from the Danish brand - GOSH COPENHAGEN, which by the way has just gone through a re branding with a name and logo change, plus a redesigned website so check it out here. 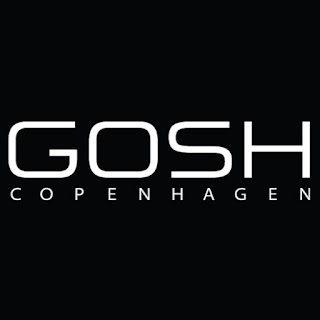 GOSH COPENHAGEN is exclusively available in South Africa from selected Edgars and Red Squares. As I have said on numerous occasions, I must have used hundreds of mascara's over the past 40 years or so and I wear mascara most days of the week. 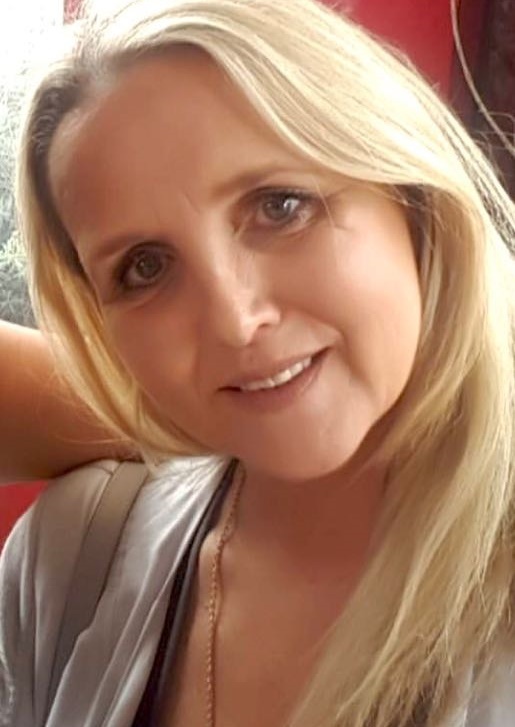 With age my lashes have become lighter in colour and more sparse, so I am always looking for a mascara that will not only curl, add volume but most definitely add length to my lashes, so in short - I want a mascara that "does it all". There is nothing delicate or slender about this mascara, as it's packaged in a chunky vibrant green container and has that feel in the hand, that this mascara means business. The wand is long and the giant swirling brush also has quite a chunky feel, all the things that I don't care for too much in a mascara, so I felt somewhat sceptical that this wouldn't be the one for me...scepticism aside I continued, as I wanted to give this product a fair review. As I removed the wand from the container, it felt tight, which was a good sign, as the swirling rubber brush was not overloaded with mascara. The black creamy formula was easy to spread and work with and it passed my " 5 eyelash clump test" with flying colours. The brush has a unique spiral shape with a combination of bristles and discs that help to grab and coat even the shortest lashes to give surprisingly good length and volume. The creamy formula is infused with Argan Oil, Bamboo Extract and Olive Oils, which help with nourishing and strengthening the lashes. I found the mascara to stay on really well without any flaking or smudging and was easy to remove at the end of the day. I did however need to clean up a little after application, as my new found longer lashes touched my upper eyelid area, but it was a small price to pay for black, longer fuller lashes. 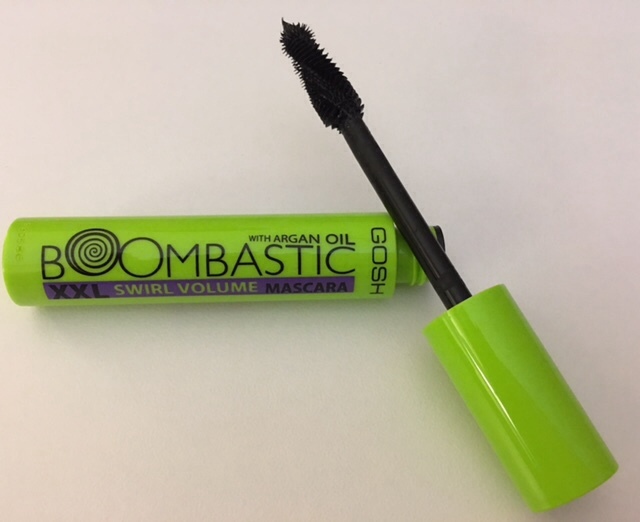 BOOMBASTIC is not a name that would associate with a mascara, but after using I now understand the relevance of the name. This mascara does the business and the overall look is dramatic and I give this product a huge "lashes" up! Being more mature, this is perfect for me for evening use or when a statement look is called upon and at R145 it delivers at an affordable price.